Day 120: Science Olympiad T-Shirts! 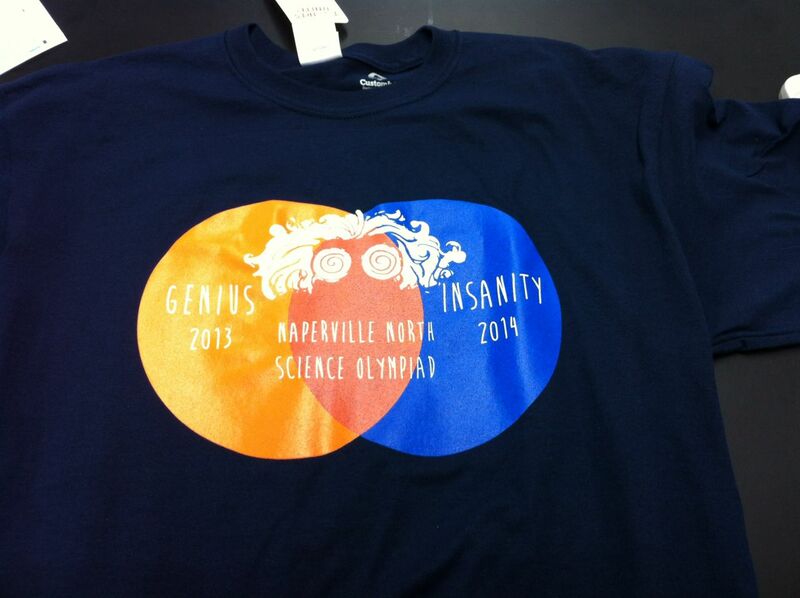 In plenty of time for our regional competition, we received our 2013-2014 Science Olympiad t-shirts today. A student designs a new shirt each year. This year’s seems fitting as “insanity” sounds about right this year.